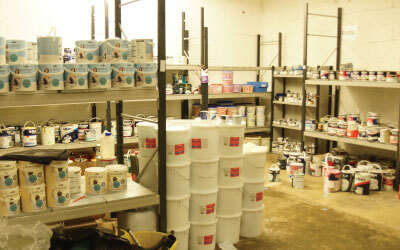 Community Repaint Scheme at SCRAPSTORE collects thousands of litres of unwanted surplus paint, varnishes and woodstains from the main UK distributors and brands for redistribution amongst the community. To use the Community Repaint Scheme no membership or affiliations are required. Absolutely anyone can RePaint and for absolutely any purpose they wish. Just turn up, have a browse and use this reclaimed paint to brighten up your world. Community Repaint Scheme supplies have helped the general public with decorating everything from their homes, youth clubs, schools, playgroups to churches and community halls across Swindon. All this for a simple donation of just £1.50 per litre.